"Serving suggestions" are wild and I can tell that usually they're not anything like how you'd reasonably serve the product. 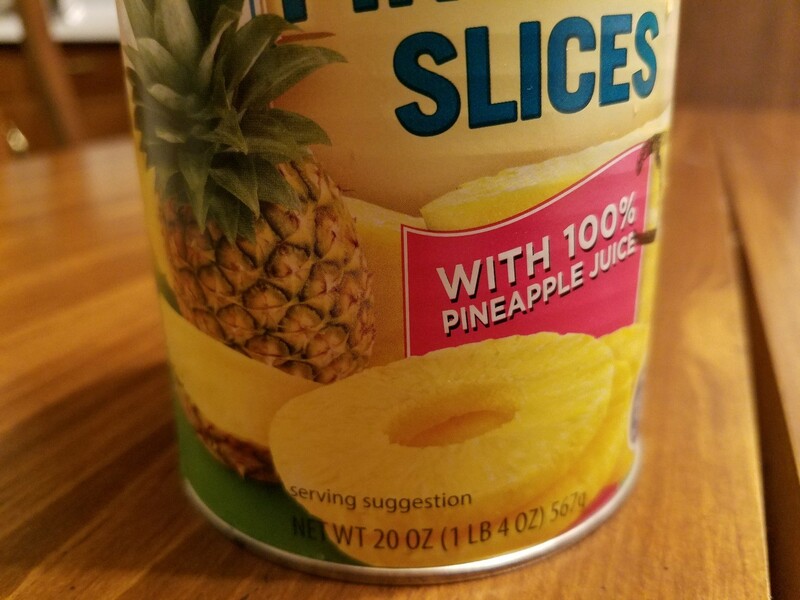 Serve pineapple slices stacked on top of each other with no plate and with whole pineapples nearby so your guests know what they're eating, if it was unclear. @NovaSquirrel I’d say it’s an even wilder ‘suggestion’ if it were a can of pineapple chunks like I was thinking.